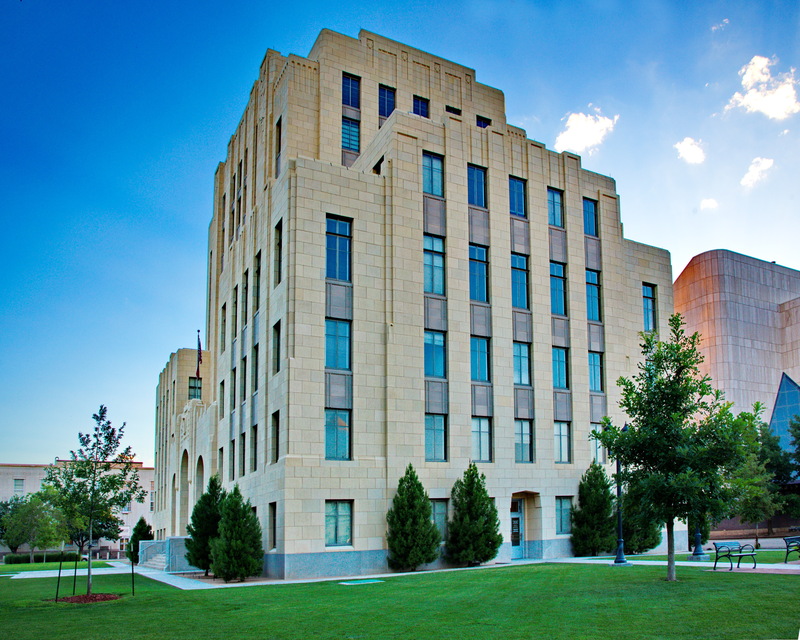 The 1932 Potter County Courthouse is one of the best preserved and exceptional examples of Art Deco buildings in Texas. 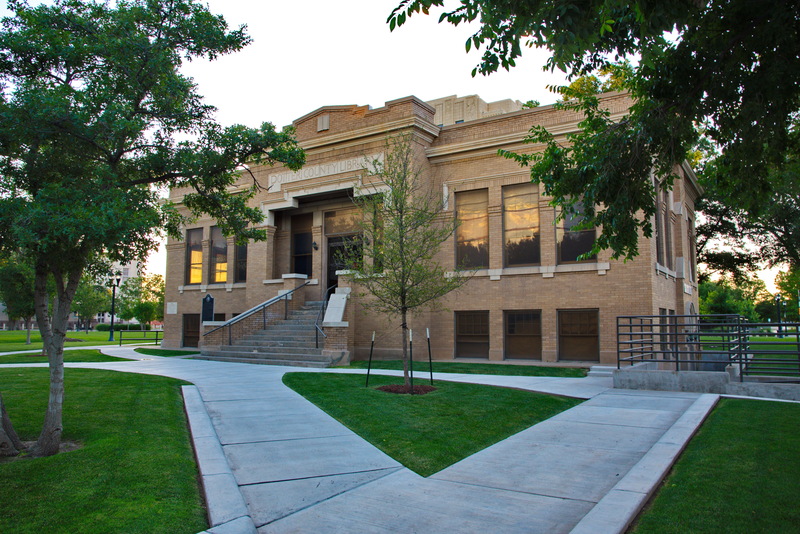 Listed on the National Register of Historic Places, the “diminutive skyscraper,” designed by architects Townes, Lightfoot & Funk, was built in the same style as the Potter County Library on the same block. 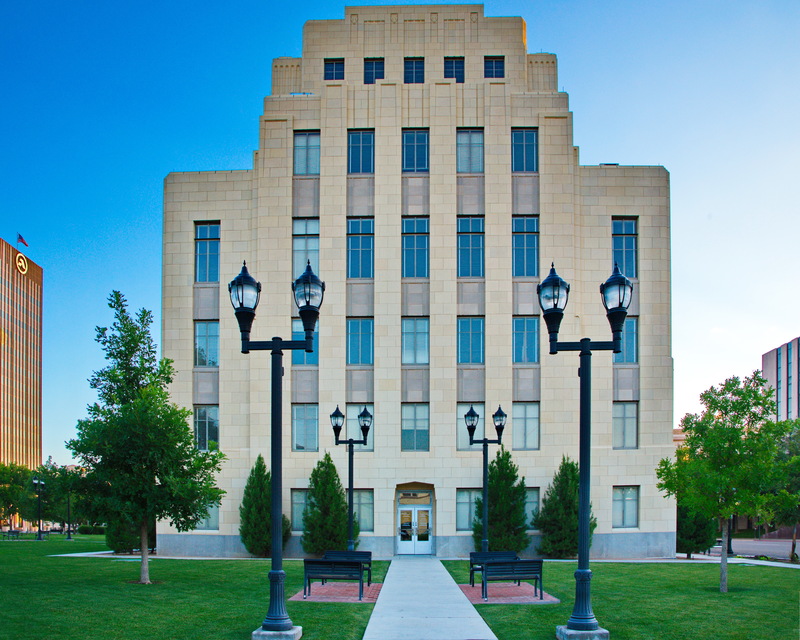 Both structures use a simple geometric design and stylized ornamentation to achieve a grandiose effect. 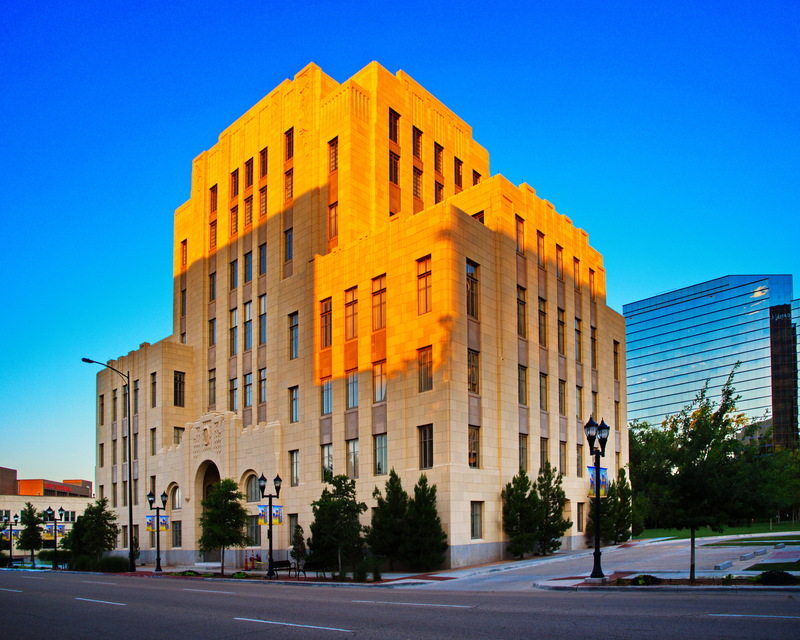 From 2009 to 2012, the courthouse underwent a $15.5 million restoration, covered in part by the Texas Historic Courthouse Preservation Program. 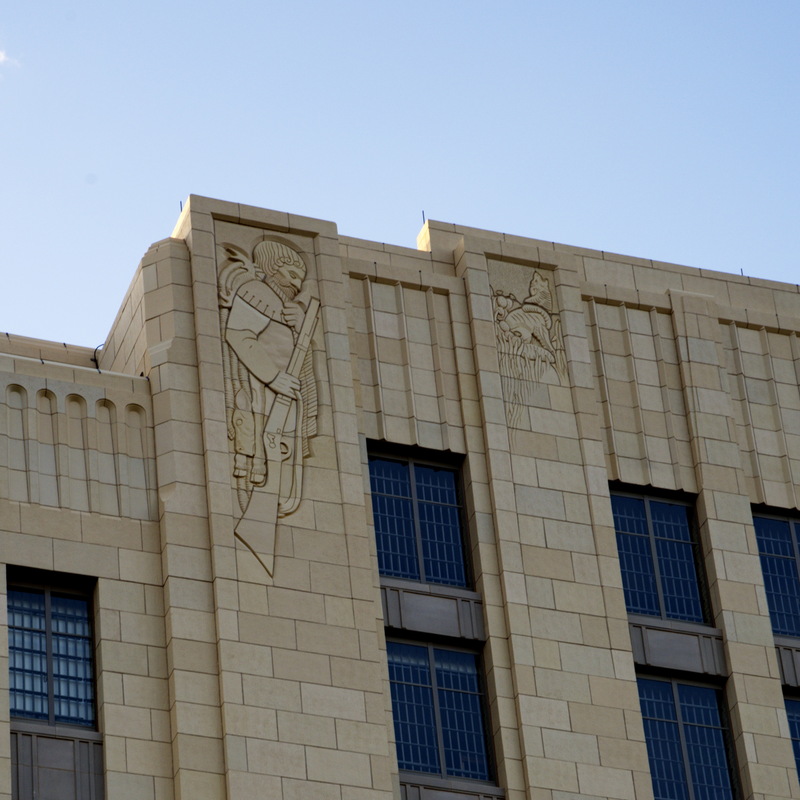 The exterior terra cotta façade containing bas-relief sculptural detail of the region’s history was restored, along with an interior modernization effort to meet functional and accessibility needs. 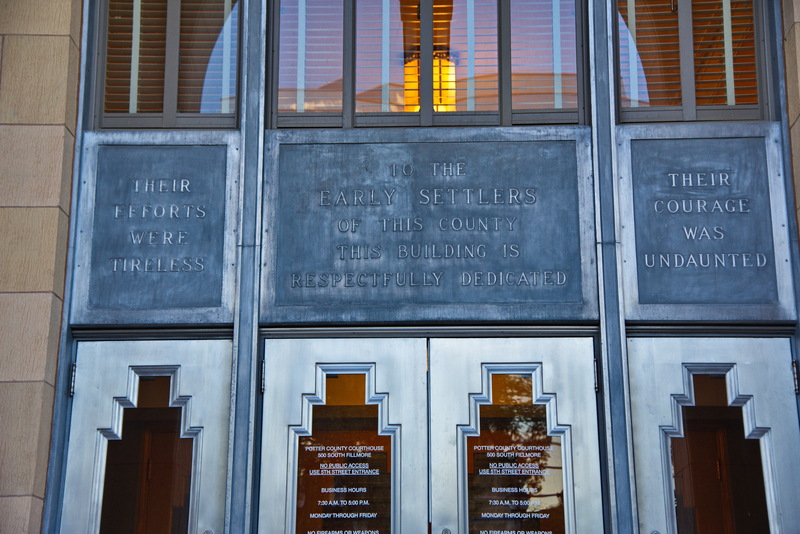 In order to implement modern amenities, the restoration team expanded existing underfloor utility tunnels to preserve the original floors, and clay tile flooring was preserved in a way that allowed structural reinforcements to be put into place on the upper floors of the eight-story building. Additionally, a new cooling and insulation system was installed to help reduce energy usage and costs. 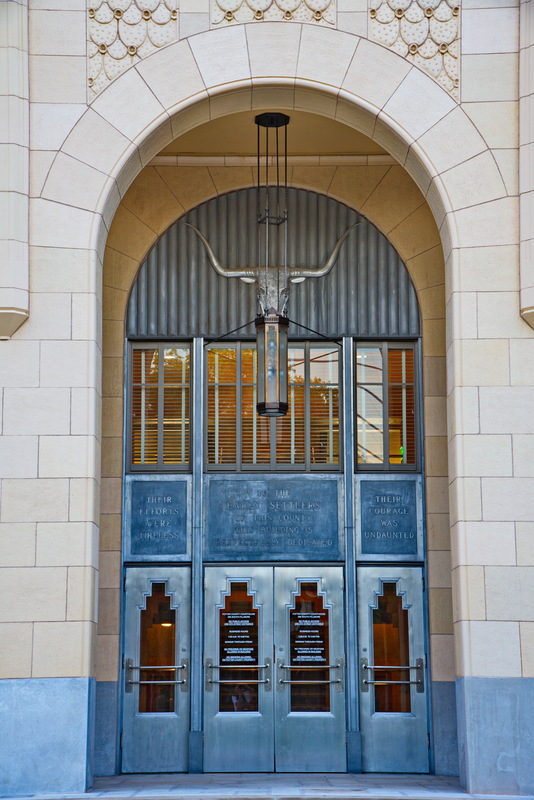 Luckily, many of the original design elements remain intact, such as the aluminum doors and hardware, light fixtures, and exterior detail. 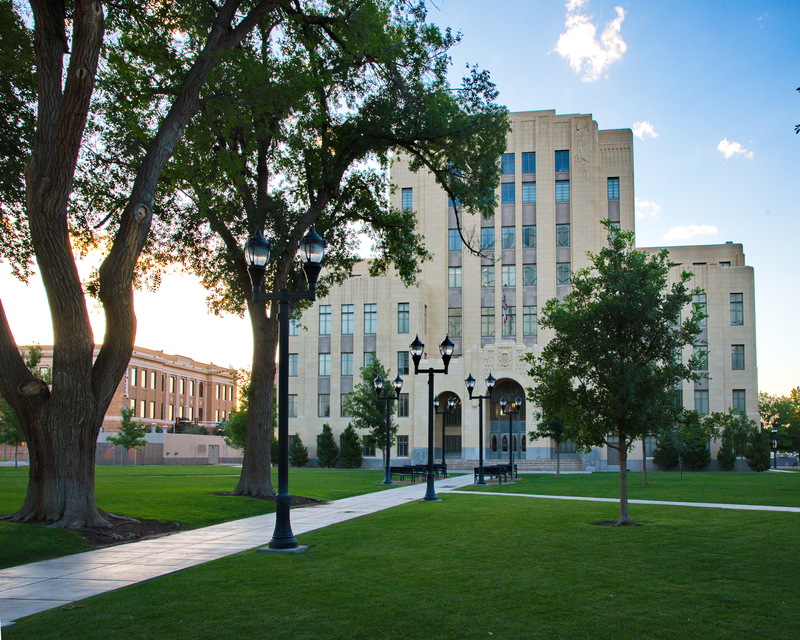 The restoration has been nominated for several awards, and the building was rededicated on August 18, 2012. 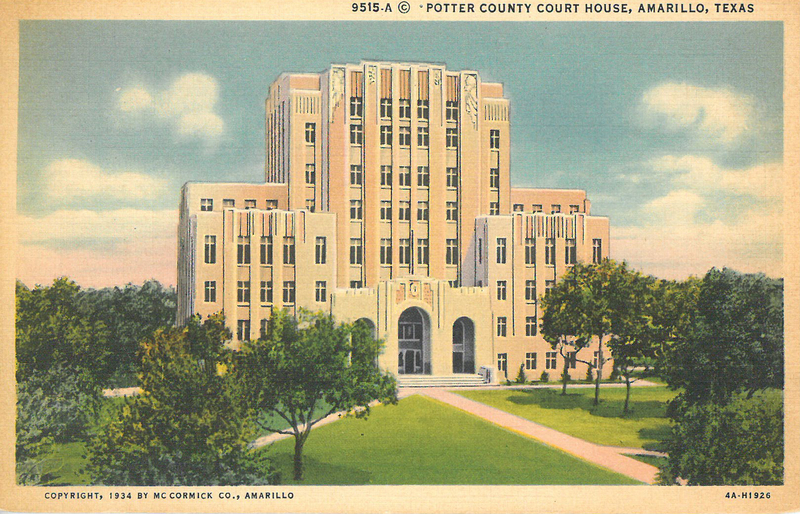 1934 Postcard of the Potter County Courthouse in Amarillo.